Whether you are a Local, National or Global company, the driving force behind your success is people. Even more important is people that fit. As a North American specialist in the recruitment of Transportation and Supply Chain/Logistic Professionals we find the people that fit your organization. With over 50 years of specialized recruitment experience in Transportation, Logistics & Supply Chain, we have taken the best of the traditional recruitment process and combined it with all the most up-to-date advanced resources and developed four very effective options to help with your recruitment needs. Whatever your PEOPLE needs within Transportation and Supply Chain we have a solution that will bring you the best talent in the market. 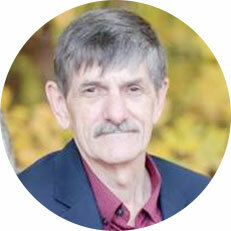 Barry began his career in recruitment in 1982 with one of Canada’s leading general recruitment companies. 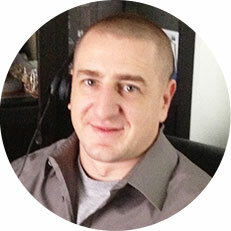 For over 7 years he was involved in the recruitment of highly complex assignments within Canada’s technology industry. In 1989 Barry decided to focus all of his expertise on the rapidly expanding transportation and SCM industry and he began to specialize in the recruitment of all of the key personnel necessary for his clients to build their organizations into world class operations. 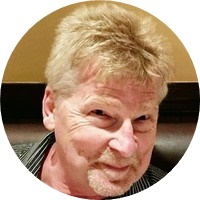 Barry’s experience is extremely broad and includes recruitment assignments from all over Canada and the USA, working with worldwide industry leaders as well as small family owned businesses. He has successfully established GP North America as a leading recruitment specialist within the Transportation and SCM Arena. Matthew joined the business in 2007 after completing school and working for 5 years within the local regional government. He has quickly adapted to the demands of the search business. His first role in the recruitment field was in research and market intelligence. After gaining a thorough understanding of the market intelligence process he was promoted to recruitment associate and is currently our Vice-President of Recruitment and Client Relations. He has established himself within the company and has built a reputation as a competent recruiter specializing in middle management search assignments. His focus is on managing projects for multinational clients and is continuously expanding and ever evolving his skills to meet the expanding and complex demands of recruitment within the distribution and SCM industry. After many years (30+) as an engineering/logistics recruiter in both contingency & retained search, Brian is now also actively dedicated to the transportation industry (10+ yrs) as a 3PL freight broker/agent and supports a current d/base of clientele that provides him with an opportunity to directly manage both in & outbound LTL + FTL OTR & INTERMODAL shipments throughout North America. Brian is an individual with an ability to make that elusive “special connection” through first-hand “insider” knowledge of the logistics industry, identifying the perfect candidate that closely matches the currently available exceptional opportunity for his or her career development.